This unique, single-source reference�the only book of its kind available on the subject�offers comprehensive coverage of the latest developments in both biochemical and physiological approaches to fungal systematics. Facilitates communication among scientists in the fields of mycology, physiology, biochemistry, food science, genetics, molecular biology, and ecology! 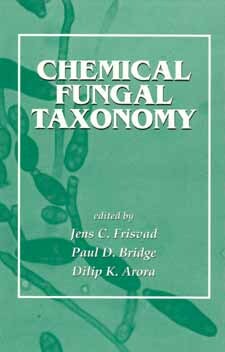 Containing nearly 1000 bibliographic citations for more in-depth study of particular topics, Chemical Fungal Taxonomy is a necessary resource for mycologists, microbiologists, biochemists, food scientists, fungal and microbial ecologists, plant pathologists, biotechnologists, botanists, agriculturalists, and upper-level undergraduate and graduate students in these disciplines.